Spring and summer are upon us, bringing longer days and increased sunlight. This anticipated change often draws homeowners’ attention to their windows. Spring is a great time to replace your windows or update the ones you have with new treatments. One of the most popular luxury treatments available is ultraviolet (U.V.) tinting. Today we’re going to show you how U.V. 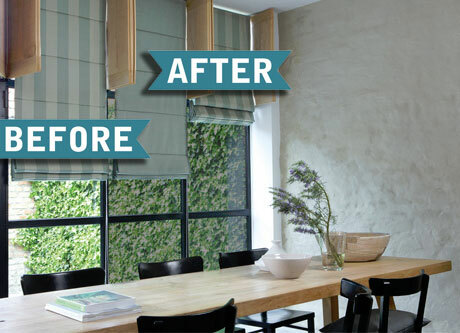 tinting works and discuss some of the benefits of this window treatment. Ultraviolet tinting is not only a good investment, but can add an extra layer of safety in spring and summer. This is especially true for vehicles, since sunlight and heat can penetrate your vehicle and then become trapped within the cabin. This significantly raises your vehicle’s temperature, sometimes to over 100 degrees, and can be dangerous for anyone inside as well bad for your vehicle’s interior. This process of penetration and trapping occurs due to solar radiation given off from the sun through photons. Each photon has its own wavelength and fixed amount of energy. Solar wavelengths that reach the earth – therefore your home or car – can have wavelengths as high as 2500 nanometers (nm). Many of these wavelengths are short, making them more dangerous to people inside a vehicle or home. Shorter wavelengths allow more solar radiation to be absorbed, making interior surfaces and air hotter. Ultraviolet window tinting can help protect your vehicle and home from harmful sun rays. Although many people use basic sunshades, these only cool the interior area an average of two degrees Celsius. By contrast, window tinting can cool your house or car 8 degrees Celsius or more. This lets you enjoy cool interiors on hot days without overexposure to reflected sunlight or heat. Ultraviolet tinting also keeps your vehicles’ passengers much more comfortable during trips. Additionally, research has shown ultraviolet tinting is a huge help to the environment. When you enter a hot car, your first instinct is to turn on the air conditioner at high volume. This places strain on the air conditioner and may waste gasoline. Since window tinting automatically cools your car, you won’t have to rely on air conditioning every time you reenter it. Reducing your air conditioner’s workload reduces overall fuel emissions by about 0.21 liters per km. The reduction also protects you from greenhouse gases like carbon dioxide, simultaneously cleaning the air and shrinking your carbon footprint. Ultraviolet tinting can protect you financially as well as environmentally. At Window Works, we’ve found customers who use U.V. tinting spend less on window maintenance because the tinting protects the glass from cracks, breaks, and other damage. The tinting also keeps paint, furniture, and fabrics from fading, reducing costs in these areas. Since homeowners who use window tinting don’t have to replace items or redecorate as often, their property values tend to increase. Thus, it becomes possible to upgrade to larger, more luxurious homes because more buyers are interested in the original home. Your home should be a sanctuary where you can relax. If you live in a large neighborhood, this can be impossible because it’s easy for everyone to see each other’s windows from several vantage points. Ultraviolet tinting protects your privacy. Additional privacy also makes it easier to focus on work or hobbies, particularly for those who have telecommuting jobs. Click here for more info on UV tinted windows. Science of window films (tints): What methods can we use to cool our car cabins? I like that you said that you can protect your car and house from the sun’s harmful rays with the help of ultraviolet window tinting that can cool the interior area of your spaces. My husband is planning to sell his car in the future, so he’s looking for ways to keep its interior in good condition. He wanted to make sure that potential car buyers won’t find any reason to be discouraged to buy his car, so I’ll share your blog with him.